Boarding a Nile cruise is everyone’s dream, especially if it is with the best affordable prices and unique offers just like our Egypt Nile cruise packages that are customized in high technology to suit all of the sophisticated tastes who search for beauty in the things around them. Our Egypt Nile cruise packages will allow you to enter the heart of Egypt to witness the impressive ruins of the Ancients and visit the remarkable landmarks that were established by great Egyptians Pharaohs. By sailing our Nile cruises, you’ll have the chance with the help of our professional tour guides to discover the greatness of the Ancient Egyptians building in Luxor & Aswan such as Hatshepsut, Luxor, Philae, Edfu, and Karnak temples, plus visiting the mysterious Valley of the Kings, and much more. That’s not all that our Egypt Nile cruise packages offer for you, you can mix the fantastic Nile cruise holidays with fascinating trips to Cairo and Alexandria to explore Giza Pyramids, the Egyptian Museum, Qaitbay Citadel, the Catacomb of Kom El Shokafa. Also, you can enjoy charming days on the best resorts overlooking the Red Sea such as Hurghada and Sharm El Sheikh. It’s time to discover Egypt by extraordinary way through book one of our fabulous Nile cruise. You may wonder now… what can you visit while boarding our Egypt Nile cruises? In Luxor: you’ll sail to Luxor, the city which was built in the location of the ancient capital of Egypt that contains a large number of monuments that narrate a great deal of Egypt’s history that can be witnessed through visiting Luxor Temple, which is considered the largest open-air museum because of its mesmerizing temples inside. You’ll also visit Karnak Temples, which have been the heart of Ancient Egypt during the New Kingdom, Hatshepsut Temple, which was dedicated to Queen Hatshepsut, who is known as being one of the most successful leaders in Ancient Egypt. That is not all as you’ll head to Colossi of Memnon, which are two massive sitting statues of pharaoh Amenhotep III and they are truly considered impressive ones of their kind as they were originally built to guard the temple of Amenhotep and those statues represented the true meaning of resistance and although their current state is not so good now, they are visited by a huge number of tourists yearly. While boarding our Nile cruises, you’ll head towards two magical temples, which stay away from the world’s chaos, which is Dandara Temple & Abydos temple. 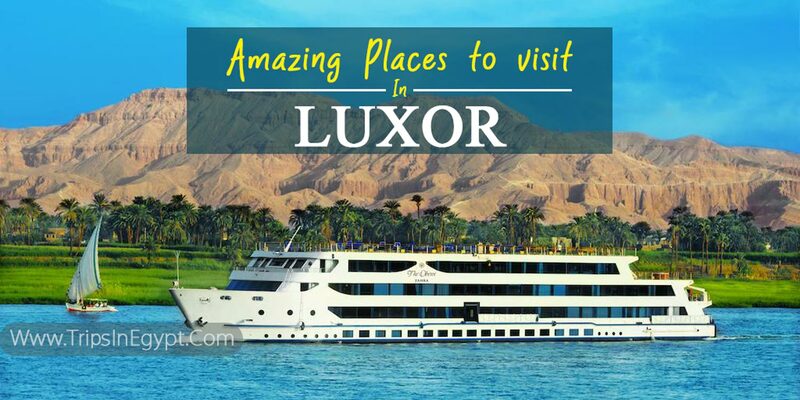 They are truly awesome and if you are from the lovers of history then you are in a great need to witness the majestic beauty resides in Luxor city. In Aswan: you’ll be a very lucky person to have the chance of heading to the amazing Nubian city while choosing one of our Egypt Nile cruise packages that will permit you to discover all about the ancient and modern attractions in that city starting from Philae Temple that was constructed during the Ptolemaic Dynasty as the center of the cult of Isis, who was the goddess of love & beauty. No visit to Aswan will be completed without heading to Abu Simbel Temples, which are worldly known with their magnificent history as they were built by the great pharaoh Ramesses II to immortal his victory in the battle of Kadesh and the smaller temple was mainly built to show his deep affection to his wife Nefertari. You’ll also sail to the High Dam and the Unfinished Obelisk that was built by the gorgeous Queen Hatshepsut who intended to let it be the largest obelisk in front of Karnak Temple but unfortunately, a huge crack happened to it and that is why she ordered her men to move it to its current located in Aswan. 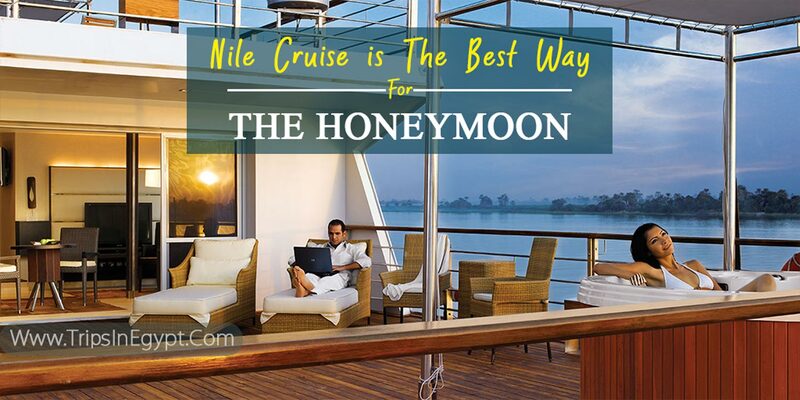 No better way to spend your honeymoon with your soul mate than boarding Nile River cruises that give you the opportunity to have a private cabin for both of you with a Nile view & all the required facilities from a gymnasium, a perfect swimming pool, all the most favorable soft drinks, internet access, and much more than this. Having your Egypt honeymoon packages on the board of a Nile cruise is the most wonderful things to be done to have the imaginary trip that you intend to have with your partner. So to start a truly happily ever after life, book our Egypt Nile cruise packages to enjoy all of our offers with truly reasonable prices. Where Does a Nile Cruise Start from?? There are two destinations from which you can start your Nile cruise tours. The first destination to start from is Luxor and such a tour takes 5 days Nile cruise from Luxor to Aswan to enjoy the attractions of both Luxor & Aswan through which you’ll be able to visit both the East and West Banks of Luxor that include the majority of Luxor’s attractions. 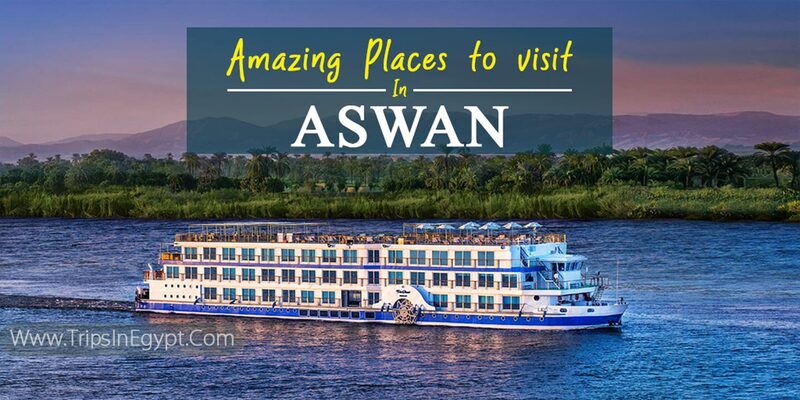 Your second destination will be from Aswan to Luxor and such a trip has a duration of 4 days Nile cruise from Aswan to Luxor that also allow you to discover all the secrets and mysteries of both cities. In order to enjoy a tour to Abu Simbel Temples, you’ll need to book Egypt Nile cruise packages that are on Lake Nasser. “Trips in Egypt” guarantee that you’ll spend such an unforgettable time touring around the location of the two majestic temples of Abu Simbel and with the help of your skillful tour guide, you’ll know all about the history of those fantastic temples. -Private bath with bathtub, hairdryer. -All cabins are air-conditioned with individual controls. -Doctor on calls on board. -LED TV within house music and video channels. -Mini Bar & room service. -Telephone system with international calls. -Safe box in each cabin. Our offers don’t have any limits and that is the main reason for customizing our Egypt Tours Packages, which contain more destinations to visit while being in the land of Pharaohs such as Cairo, Alexandria, Hurghada, El-Gouna, Sharm El-Sheikh, and more so don’t hesitate in contacting us and let us know what the best tour is for you. You can also customize your trip yourself through visiting our Egypt Travel Planner that will give you the key to real happiness.